If you're looking to make a bold first impression with your church website, this new responsive WordPress church theme is an ideal choice. This premium theme features a striking color scheme, highlighted by subtle gradients and textured custom graphics. The overall effect is memorable. And, just as importantly, the built-in WordPress Options panel makes managing your new website a straightforward process. 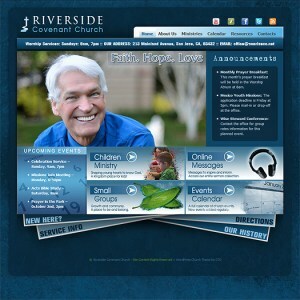 So make a memorable impression online - by launching your congregation's next web presence with this premium theme. The responsive nature of the design also ensures that people using a wide variety of media devices will be able to effectively access your church website with ease.